By eavesdropping on the elusive “hihi” of New Zealand with hidden recorders, scientists are being able to detect if the elusive birds are happy when released into new areas of forest. 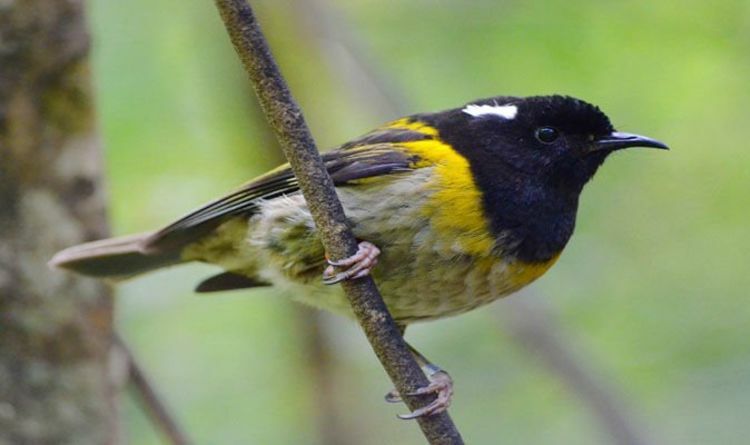 Reintroducing the tiny songbirds into woodlands where they vanished 130 years ago is key to helping safeguard the hihi, classified as Vulnerable to extinction on the official Red List of Threatened Species. Yet confirming the hihi – its Maori name means “first ray of sunshine” – are content and likely to flourish in their newly established territories has long proved a challenge for field workers across tough landscapes. Remarkably, it is the very call the first European settlers heard the birds making – a distintive “stitch” noise like two marbles clanging together and which saw them nicknamed stitchbirds – that has provided a boon for a scientific team from the Zoological Society of London, Imperial College London and the Rotokare Scenic Reserve Trust. Placing listening devices around the scenic reserve in the Taranaki region of North Island after the release of 40 juvenile hihi in April 2017 has allowed the conservationists to successfully monitor the birds' progress while also providing valuable benefits for future reintroductions of other vanishing species. Even though hihi are brightly marked, the black and white males have a distinctive yellow chest and white ear tufts, they can be remarkably shy under the forest canopy. Being elusive did not stop their rapid decline when the first Europeans arrived with rats and non-native birds which are likely to have infected the local species. By the end of the 19th Century, the hihi had disappeared from most of their historic range. Only a few thousand adults are left today in highly protected reserves. Yet their “happy” calls ringing out in newly established territories is music to the ears of scientists as Dr John Ewen, senior research fellow at ZSL’s Institute of Zoology, explained: “Hihi are an important native species, who play a crucial role in pollinating indigenous plant species and need a pristine environment in which to thrive. “Reintroduction, or translocation, is considered the most effective conservation action we can take to save the hihi bird in New Zealand, but as with other reintroduction programmes for other species around the world, we’ve found it can be challenging to accurately monitor their success. Details of the study are published today in Methods in Ecology and Evolution and sees the hihi living up to its name by offering a ray of hope to other species. Besides the hihis' dazzling yellow markings bringing beams of hope, their upbeat “stitch" calls ringing out in the forest area also a joy. Oliver Metcalf, a PhD Candidate at Manchester Metropolitan University who was inspired to use the technology for his masters studies at ZSL’s Institute of Zoology and Imperial College London, continued: “By recording and listening to the hihi calls, we were able to figure out how the birds were using the area they’d been reintroduced to.